Making the comment box below the blogger post is a very nice trick because a lot of blogger users wants to lease a comment but they hate the comment pop up window.So after applying this hack to your blog, you’ll make it easier for your blog readers to comment about the article/post. Go to http://blogger.com and log in to your account. Check the “Expand widget templates”box. Now after finding above code replace entire above code with below code. 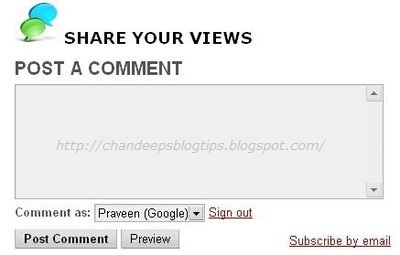 but, how can I disable blogger default comment box.